Hardwood floor is considered as one of the most important lifetime investments in a home. And while we know that there are so many homeowners out there who make it possible to come up with their own home flooring designs, Liberty Hardwood Floors experts and professionals simply know that it is very important to have every detail of your flooring project done. So whether you are planning to install new hardwood floors or refinishing your existing wooden floors, our company is here to give you what you exactly want and realize your dream home along the way. Installing hardwoods may and can entail a lot of complex procedures which are hard to be understood by anyone who has a little or zero knowledge about this craft. Any detail that is wrongly executed can cause poor and inferior quality to your project results. For an instance, wrong preparation can cause adverse effects like warping and cracking on your flooring because of unwanted moisture buildup. Another example is that when you've come up with wrong and improper spacing, this could result in buckling and gaps on your floor. Wood floors which are properly installed obviously last for years - in fact, many, many years. Thus this gives you the idea that they are truly considered as a lifelong investment. Aside from that, installing hardwood floors is also a sound and economical idea, needs less maintenance, and exudes a superb sense of durability. Liberty Hardwood Floors has the passion to provide custom installation the professional way all over the state of New York. 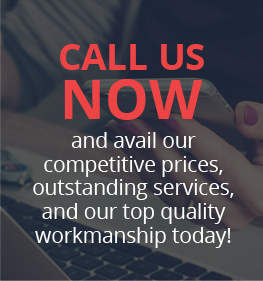 Additionally, we make sure that each client we handle would have that long-lasting satisfaction because of our topnotch services and affordable rates as well! Installation requires some important details you need to know first. Some of these things include the different types of hardwood products to be installed (solid, engineered, unfinished, laminate, prefinished, and exotic woods) and the different types of wood installation methods (nail down, glue down and floating). Liberty Hardwood Floors works with woods which are specifically made for the nailing or stapling method. Basically, nailing or stapling is best for the installation of solid and engineered wood planks or boards. With this method, the end results would be something remarkable, stunning, and well-crafted. This kind of method is best for the installation of engineered and parquet woods. Basically, the wood is to be glued down on the subflooring which is usually made of concrete. We at Liberty Hardwood Floors make use of glue which is acrylic-based so as to give protection to any member of the family who is allergic to the odor of glue. What is really great about this kind of wood installation method is that you can step right on your wood floor or position your furniture on it after twenty-fours from the time you did the installation. The tongue and the groove of the wood planks usually makes use if this method in order to be installed properly. But if your wood planks come with a locking system then this kind of method does not necessarily make use of an adhesive in order to float. This works best for doubtful subfloors. Just make sure that the area where woods are to be installed should have wider spaces as the woods tend to contract and expand over time.